Left: Ady at Annapolis, 1939. 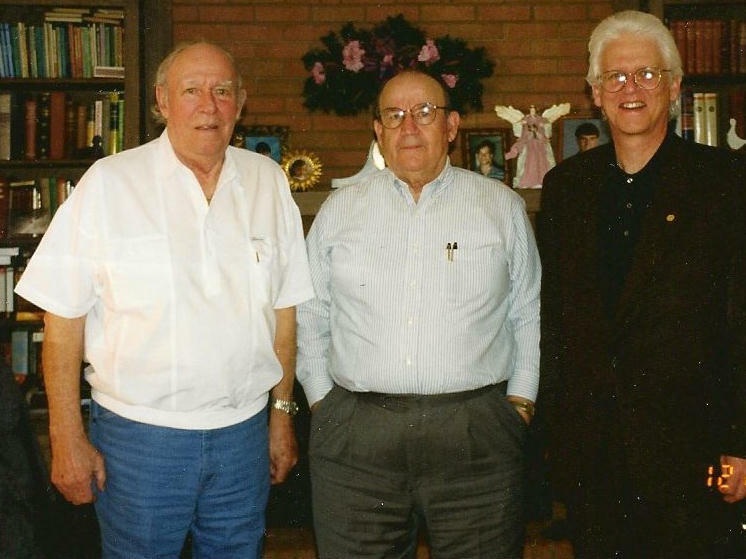 Right: Ady with Bill Vickrey (center) and son Howard Ady III, 1996. Howard Ady not only played a pivotal role in the Battle of Midway, but he was also at the very start of the Battle of Midway Roundtable as its first veteran participant in the early 1990s. It was Bill Price’s chance meeting with his son, Howard III (above) that started it all. The details are found in No Right to Win, pages 4-5.